Chris Lofing and Travis Cluff appearance for the Chicago screening of ‘The Gallows’ at the Music Box Theatre in Chicago! Tonight I photographed Writers/Directors Chris Lofing and Travis Cluff appearance for the Chicago movie screening of ‘The Gallows’ at the Music Box Theatre in Chicago Illinois. If you have not been to the Music Box Theatre recently you owe it to yourself to check out all the improvements they've made. They've expanded their space to a very comfortable bar area and outdoor patio! Bathrooms have improved too. This is one of the nicest small vintage theaters in town.I'm really glad when I have a photo op to cover there! The movie opens July 10,2015. Check your local schedules. 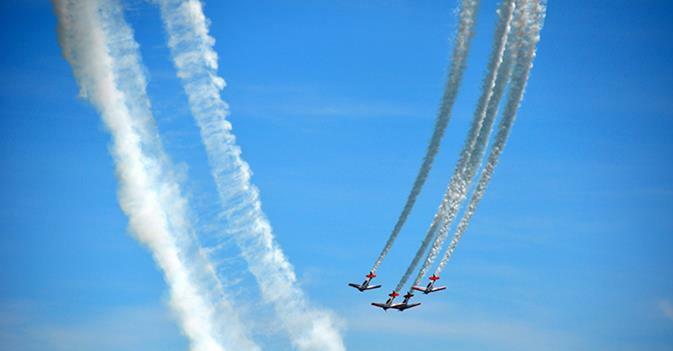 The 57th Annual Chicago Air and Water Show, presented by Shell and the City of Chicago, will return August 15 and 16 along the lakefront from Fullerton to Oak Street, with North Avenue Beach serving as show center from 10 a.m. - 3 p.m. daily. Strong in tradition and one of the largest free admission events of its kind, the show headliners include the U.S. Navy Blue Angels and the U.S. Army Parachute Team Golden Knights. The U.S. Navy Blue Angels have been astounding audiences since 1946 with their gravity defying flying, commanding presence and supersonic maneuvers in their F/A-18 Hornets. The brave men and women of the U.S. Army Parachute Team Golden Knights and the U.S. Navy Leap Frogs will inspire spectators as they jump out of an aircraft 12,500 feet above the earth’s surface, racing to North Avenue Beach at speeds exceeding 120 mph, making a perfect landing. NEW for 2015, the Breitling Jet Team will perform in Chicago for the first time during their debut tour of the United States. The seven plane team will wow crowds in their L-39 C Albatros jets that can reach speeds of up to 565 mph. The team is widely recognized for their precision and seamless coordination displayed throughout high-speed aerobatic performances, the France-based team brings their unmatched flying to North America for the first time. The popular lakefront event features a wide variety of military and civilian aerial demonstration teams with daredevil pilots performing their stunts in the skies above Chicago. Returning acts confirmed for 2015 include: AeroShell Aerobatic Team, Aerostars, Bill Stein Airshows, Chicago Fire Department Helicopter Air/Sea Rescue, Dave Dacy in the Super Stearman Model 70, Firebirds Delta Team, Matt Chapman Airshows, P-51 Mustang, Sean D. Tucker and Team Oracle, Team AeroDynamix (12-plane team), U.S. Coast Guard, U.S.A.F. F-16, U.S.N. F-18, Warbird Heritage Museum Foundation: A-4 Skyhawk Jet Tac Demo and show announcer and “Voice of the Air and Water Show”, Herb Hunter. 2015 marks the 20th year the show's longtime presenting sponsor, Shell, has given back to the City of Chicago. "Shell is proud to be the presenting sponsor of the Chicago Air & Water Show. This long-standing tradition showcases premium performances by some of our nation’s most courageous men and women pushing boundaries in the air and on the water," said Elen Phillips, Vice President, Shell Americas Fuels and Marketing. "At Shell we, too, are passionate about pushing boundaries to give our customers the best products on the market, like new Shell V-Power NiTRO+ Premium Gasoline, providing the best total engine protection you can get. We applaud the City of Chicago and our local independent Shell Wholesalers and Dealers for providing the leadership and resources to bring this free event to the lakefront again this summer." Oil Products U.S. and the following sponsors: ABC 7 Chicago, American Airlines, Aquafina, The Boeing Company, Bud Light, Chicago Transit Authority, Chicago Tribune, Communications Direct, Hyatt Regency McCormick Place, LaGROU Distribution System, Martin’s Pastry Shoppe, Metra, M*M Graphics, Oracle, Pepsi, Texas on Tour and WBBM Newsradio 780 and 105.9FM.
. Watch THE ABC 7 CHICAGO AIR AND WATER SHOW special highlighting all the thrills and breathtaking action of one of Chicago’s favorite summer events. Hosted by ABC 7 Eyewitness News Meteorologists Jerry Taft and Tracy Butler, this half-hour special will air Sunday, August 16, at 11 p.m. with an encore presentation on Sunday, August 23, at 4:30 p.m.
For more information about the 57th Annual Chicago Air and Water Show, please visit chicagoairandwatershow.us. To plan your trip to Chicago for the show, visit choosechicago.com. For updates, like us on Facebook (Chicago Air and Water Show) and follow us on Twitter and Instagram, @ChicagoDCASE (#ChiAirandWater). Quietly operating from Chicago’s South Side between the 1920s and 1980s, the Valmor Products Company offered perfumes, hair pomades, incense and a wide variety of other products packaged in small bottles and tins with eye-catching labels affirming the mystical powers of the products within. Produced in small quantities and targeted to minority consumers, the distinctive graphic designs of Valmor’s products were nearly forgotten. But in a lucky circumstance of historical “lost and found,” the Chicago Cultural Center is displaying the first comprehensive exhibition of these remarkable works of graphic design. Film, video and installation artist Adebukola Bodunrib, photographer Cecil McDonald, Jr. and Painter Mahwish Chishty represent the inaugural group of DCASE Artists in Residence working in a private studio at the Chicago Cultural Center. This exhibition presents a view of the studio practice that evolved during their residencies. Adebukola Bodunrin researched and tested new projection and animation techniques exploring our collective obsession with destruction and the artist’s own interest in creation myths. Cecil McDonald, Jr. is currently engaged in a studio practice at the Chicago Cultural Center that uses photography to reconstruct everyday moments that he will incorporate into an evolving installation that blurs the line between private practice and public exhibition. Mahwish Chishty vastly expanded the scale of her work beyond her formal training as a miniaturist to richly embellish the enigmatic images of drones, shining light on and through them, effectively disarming them in the process. Thursday, July 30, 12:15 p.m.: Gallery Talk with Cecil McDonald, Jr. Celebrating more than 30 years of a homegrown art form that is now heard around the world, this exhibition traces the history of Chicago House Music as it developed post “Disco Demolition” through the impact it continues to have on global electronic dance music. Memorabilia, timelines and first-hand interviews will tell the stories of the genre’s originators and the cultural and socio-economic influences of the times. Saturday, August 8, 7 p.m.–2 a.m.: Film Screening of The UnUsual Suspects: Once Upon a Time in House followed by a DJ performance by filmmaker DJ Chip E at the Elastic Arts Foundation, 3429 W. Diversey Ave. This exhibition celebrates twentieth-century American artist Archibald J. Motley, Jr. (1891-1981) and reveals his continued impact on art history. While considered a major contributor to the Harlem Renaissance, Motley never lived in New York but rather played that role from Chicago – his home for most of his life. This full-scale survey of 42 remarkable paintings chronicles the African-American experience, including life in Chicago’s Bronzeville, and gives a radical interpretation of urban culture of the Jazz Age 1920s and 1930s. Spanning 40 years and representing various periods of his lifelong career, the exhibition also includes his noteworthy canvases of Jazz Age Paris and 1950s Mexico, as well as works that address slavery and racism. Full schedule of public and education programs is available at colum.edu/motley. Archibald Motley: Jazz Age Modernist at the Chicago Cultural Center is presented by the Chicago Department of Cultural Affairs and Special Events and programmed by Columbia College Chicago. The exhibition originated at the Nasher Museum of Art at Duke University and was curated by Dr. Richard J. Powell, John Spencer Bassett Professor of Art and Art History at Duke. Grant support to the Chicago Department of Cultural Affairs and Special Events provided by the Nasher Museum of Art at Duke University and the Terra Foundation for American Art. Support to the Nasher Museum of Art at Duke University provided by the Terra Foundation for American Art; the National Endowment for the Humanities: Exploring the human endeavor; and the Henry Luce Foundation; and the Wyeth Foundation for American Art. Saving landmarks in Chicago has always been a lively challenge. Over the years, public activism, outreach campaigns and governmental legislation have produced notable graphic designs and striking photographs. This new permanent exhibit features images, artifacts and ephemera relating to this seldom-told story. and follow us on Twitter and Instagram @ChiCulturCenter. This special exhibition looks at the interests and inspirations which manifested publicly in the chef’s thoughtful and artistic handling of cuisine. On view will be artifacts from Trotter’s personal library and music collection, the James Beard medal, ephemera and a selection of food photography featured in his numerous books which highlight the chef’s uniquely architectural and artistic culinary presentations. , like us on Facebook and follow us on Twitter and Instagram @ChicagoDCASE. June 30th, 2015 (San Francisco, CA) – Asia Week San Francisco Bay Area is pleased to announce its inaugural edition celebrating Asian art in the Bay Area, October 2-10, 2015. The week will include a public program roster of galleries, museums, universities and institutions presenting exhibitions and programs representing the full spectrum of Asian cultures. Asia Week San Francisco Bay Area seeks to build a broad alliance between dealers, artists, scholars, collectors and enthusiasts of Asian art, while also creating opportunities for the general public to discover new artworks and culturally distinct points of view within their communities. A natural fit for the exceptionally diverse region home to over 7 million people, boasting nearly a quarter that identify as Asian or of Asian descent (1,664,384 according to the 2010 census), Asia Week San Francisco Bay Area seeks to promote the rich arts heritage found across Asia, from antiquity to the contemporary, and explore its impact in the Bay Area. Early partners of Asia Week San Francisco Bay area include: ArtSpan, San Francisco, Asia Society, San Francisco; University of California Berkeley Art Museum and Pacific Film Archive (BAM/PFA), Berkeley; Bonhams, San Francisco; Fine Arts Gallery at San Francisco State University, San Francisco; International Art Gallery, San Francisco; International Art Museum of America, San Francisco; Japan Society of Northern California, San Francisco; Michaan’s Auctions, Alameda; Mongolia Foundation, Berkeley; NanHai Art, Millbrae; Peninsula Art Institute, Burlingame; Peninsula Museum of Art, Burlingame; SFO Museum, San Francisco, and Warren's Antiques, San Francisco. Complete partners and program schedule will be announced shortly. Ricky Hirsch, founder of Chicago-based Think Jerky, has already proven he's a savvy entrepreneur by developing the first line of chef-crafted, artisan beef jerky that is truly in step with today's food preferences-protein-rich and all-natural, containing no glutens, hormones nor antibiotics. "Think healthy, think delicious, think jerky!" exclaimed Hirsch. Think Jerky is the first company of its kind to develop jerky recipes that are created by tapping the culinary finesse of award-winning chefs. Hirsch has partnered with Chef/Partners Laurent Gras (awarded three Michelin stars while chef at L20), James Beard award winning Gale Gand (Food Network, Tru, SpritzBurger) and Chicago Baconfest champion Matt Troost (Three Aces, Charlatan), who have created four flavors that bring jerky to a new level, all available in single serving 1.5 oz. packages. "Besides creating a healthy and delicious jerky, I wanted to create a company that maintained the integrity of the word 'chef', said Hirsch. "I think the term 'chef-crafted' will become completely meaningless in five years as everything now is chef-crafted. It will become the new 'all-natural.' I created this company to be the first CPG that's healthy, delicious, and entirely chef-crafted by the real chefs of this country. The chefs who have paid their dues working in kitchens for 15 hours a day, 6 days a week, Michelin-star winners, James Beard winners, and so on." "Jerky is a hot product these days because people are seeking protein-rich natural snacks," said Hirsch. "Unfortunately, the jerky market is dominated by just a few producers who don't create a premium product. Think Jerky is striking out in a unique direction by driving beef jerky down new chef-driven roads. We've involved top chefs in the creation of our jerky recipes and our products meet very high quality standards." Hirsch's business creativity isn't limited to product development-he is also quite marketing-savvy. He has thought of an innovative way to tap the popular Kickstarter crowdfunding model. Unlike most Kickstarter campaigns, however, Think Jerky is not looking for investors at this point in time. Rather, they are looking for food retailers, distributors and consumers who want to jump on the inevitable bandwagon early, by pre-ordering Think Jerky in large quantities. The details of Think Jerky's Kickstarter campaign, including products and packaging, can be found at www.thinkjerky.com. A compelling video presentation at the site explains the philosophy of Think Jerky and describes how they source their ingredients, create recipes and manufacture their products. "Customers who purchase in large quantities using our Kickstarter campaign will be able to take advantage of lower, high-volume pricing," said Hirsch. "Wholesalers and retailers will get a jump start on the competition, while consumers can be the first to introduce Think Jerky to their friends. Anyone who loves delicious, healthy snacks that are rich in protein will be amazed at how good Think Jerky is." Think Jerky will be available at high-end food retailers in the fall of 2015. Hirsch is convinced that the time is right for Think Jerky. The demand for beef jerky has risen steadily over the past decade, but the market is dominated by a few producers who have appealed to the mainstream rather than meeting the needs of food-knowledgeable people who also expect healthfulness, purity and quality. Think Jerky's meat is pasture-raised, sustainably farmed, antibiotic and hormone free. The products have only one third of the sugar and half of the salt found in most other brands. Ricky Hirsch is the creator and founding partner of Think Jerky. Originally born and raised in Highland Park, IL. Hirsch is deeply rooted in Chicago with a love for its culinary community. After graduating from the University of Michigan, he ventured to New York to work in finance. He bought his first company in 2006, which he sold to travel the world in 2008. Upon returning from his adventures abroad, he worked for himself trading equities, while also considering how to expand into the field he loves: food. In 2013, he followed his passion and developed Think Jerky, partnering with nationally and locally renowned chefs to create a sustainable, delicious, and healthy chef-crafted jerky. Hirsch will watch his dream come true when Think Jerky launches in fall 2015. Don't miss out on this unique opportunity to host your family and friends 95 floors above the city for The Air and Water Show. The Signature Room at the 95th has the perfect private dining room available on Sunday, August 16th to enjoy the show from a bird's eye view. The room can accommodate 20-100 people for a brunch or cocktail reception. Call us today to find out more about pricing and details.